Stewart Copeland (The Police) Returns with New Main Theme Music for the Spyro Reignited Trilogy Just in Time to Celebrate the Franchise’s 20th Anniversary. New In-Game Feature Allows Nostalgic Fans to Seamlessly Switch Between Original and Remastered Soundtracks in Game! 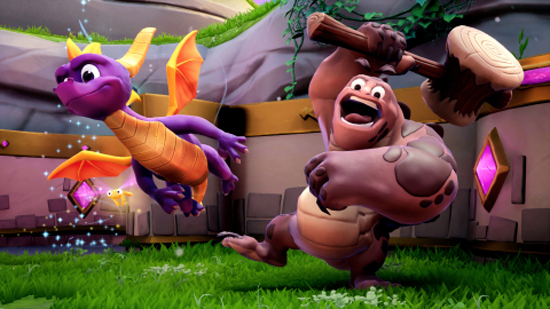 The Spyro Reignited Trilogy introduces players to a fully remastered game collection with a re-imagined cast of characters, brand-new lighting, animations, environments, and recreated cinematics—all in stunning HD. The game is jam-packed with fun and nostalgia including the ability to play the game to the original soundtrack or the remastered music. Stewart Copeland (The Police and series original composer) also returns to the Spyro franchise with a new title screen track for fans. Spyro soared in to Comic-Con International: San Diego with news that’s sure to get fans fired up! Activision and Toys For Bob announced today the return of Stewart Copeland (The Police) to the Spyro franchise. Copeland, the series’ original composer, revealed a clip of the new soundtrack main theme featured in Spyro™ Reignited Trilogy to fans during the Spyro: Reigniting a Legend panel. Known as “Tiger Train,” Copeland’s new intro reprises recognizable music motifs from the first three Spyro games into a memorable, orchestral-rock journey. And the Spyro nostalgia beat doesn’t end there! 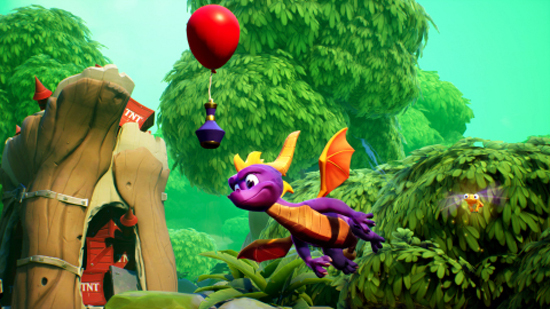 Franchise fans can go down music memory lane as the Spyro Reignited Trilogy brings a new in-game audio feature that allows players to switch between Copeland’s original and the newly remastered soundtracks. Players can simply fly in to the “options menu” at any time during gameplay, unleash their preferred nostalgic or scaled up groove, and glide right back into the Spyro action without losing saved data. Spyro Reignited Trilogy developer Toys for Bob was joined today by Stewart Copeland; key members of Insomniac Games, including Ted Price, Brian Hastings and Brian Allgeier, as well as Tom Kenny (the voice of Spyro) and Michael John (producer at Universal Interactive Studios on the original Spyro trilogy) to share their favorite moments creating and remastering one of the most beloved trilogies in video game history. During the panel, fans were also treated to a first look at remastered gameplay footage from Spyro 2: Ripto’s Rage! Spyro Reignited Trilogy is a dynamic gaming collection that will have both veteran and new franchise fans “Spyro-ing” out of control when it releases September 21, 2018. Players will feel the fully remastered fire of the three original Spyro™ games that started the phenomenon – Spyro the Dragon, Spyro 2: Ripto’s Rage! 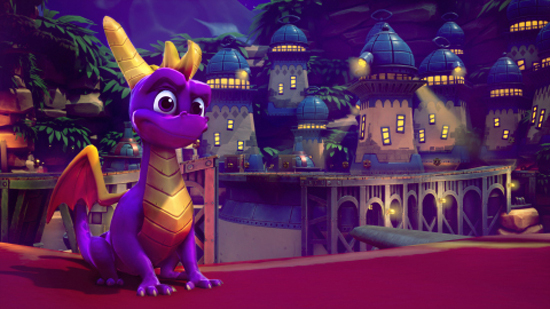 and Spyro: Year of the Dragon – complete with more than 100 levels, fire-breathing attacks, lush environments, and Spyro’s zany cast of characters all in HD graphical glory on PlayStation 4, PlayStation 4 Pro and the family of Xbox One devices from Microsoft, including the Xbox One X.
Spyro Reignited Trilogy is available now to pre-order via major retailers at a suggested retail price of $39.99.